"5:15-16 O people of the Scripture! Our messenger (last prophet) has come to you, uncovering much of that which you used to hide in the Scripture and forgiving many of your faults. Indeed there has come to you from Allah a light and a Book of Absolute (knowledge) Whereby Allah guides all who seek His good pleasure to the way of peace and He delivers them from darkness to light, by His Will and guides them to a straight path." " 68:4 And thou (Mohammad) (standest) on an exalted standard of character." " 53:3 Nor does he say (aught) of (his own) Desire." 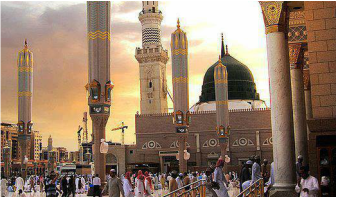 " 53:2 Your Companion (Prophet Momammad) is neither astray nor being misled." 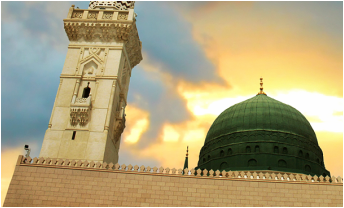 Hadith is integral to the Qur’an, since they are inseparably linked to each other. It is impossible to understand the Qur’an without reference to Hadith. The Qur’an is the message, and the Hadith is the explanation of the message by the Messenger himself. We have collected a huge range of hadith books, including Sihah e Sitta, in numerous international languages. Enjoy reading and share with friends and family for Sadaqa Jariyah, InshaAllah. 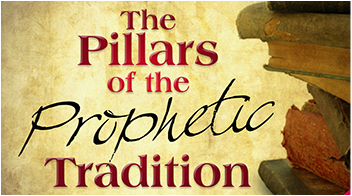 Usool Al Hadith (also known as Principles of Interpretting Prophetic Traditions) is another core branches of Islamic knowledge that deals with importance of hadith, its compilation and preservation, authentication and interpretation. With this important knowledge, we can easily overcome the misconceptions spread around the can clearly see the beautiful face of Islam. "Usool al Hadith by Dr. Bilal Philips" is one of the best books contemporary works on this subject. Allah mentions the The Prophet(Sal Allahu Alayhi Wa Sallam)’s character as an excellent example for all to follow in every aspect of our lives.The way to learn this is by studying Whose life is better to learn from than the life of the best-ever creation to walk on the face of this earth, the Prophet (Sal Allahu Alayhi Wa Sallam). It is our utmost obligation to study the life of our Prophet and implement his commands in our life. Our beloved prophet told us that "A man will be with those whom he loves". Verily we love Rasool Allah the most among all creations and it is our utmost desire to be with him in Jannah, inshaAllah.